J & F Pool Plastering, Inc.
goes into every job we do! With nearly 40 years in the business, we are the leading pool plastering company in the Sacramento Valley! Our Sacramento area customers are our friends; they know us and trust our friendly and skilled employees. We may not be the cheapest on the block, but getting your pool plastering done right the first time - is priceless! We have served thousands of residences and businesses throughout Sacramento, Yolo, Placer, Sutter, El Dorado, Solano, Yuba and Colusa Counties. Our customers have ranged from homeowners of diverse income levels, businesses such as Sacramento’s Wells Fargo building, and even a CBS television series. Read about J&F Pool Plastering. Whether the project you envision is no-frills or elaborate, J&F Pool Plastering Inc. can deliver at a price competitive with any pool plastering service or company. 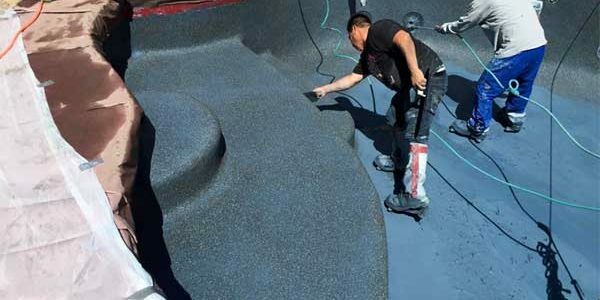 Moreover, no competitor in Greater Sacramento offers more choices of pool plastering surfaces. These include products from the industries top manufacturers. To arrange for a free estimate, call us at (916) 372-4500 or fill out our online Contact Form. We are a fully licensed and trusted pool plastering company. We’re large enough to respond to multiple plastering jobs at once. Call us today; you’ll see why we have a A+ Better Business rating. "They were professional and punctual." Call us today if you want the job done right the first time! 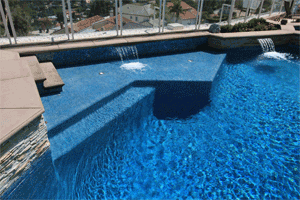 J & F Pool Plastering: Sacramento’s Pool Plastering choice since 1979. Plastering is an awesome approach to give watertight seal to the pool. A legitimately introduced plaster or also called white concrete keeps going the length of a quarter century. In any case, the plaster debases gradually over a time frame. When you see all the plaster dissolving from the pool, re-plastering ends up plainly required. A plastering occupation is a major errand. Be that as it may, with the correct device, materials and learning, you can do this plastering work without anyone else’s input. When you do the plaster work, it spares gobs of cash as well as gives fulfillment. While doing the plaster work without anyone else, first thing to do is void the water, particularly in the event that you are utilizing the electrically determined apparatuses. You can utilize etch to expel the hanging bits of plaster and sandblast the whole territory with an electric sander. When you wrap up all the sanding dust from the whole pool, it is an ideal opportunity to apply the white bond. Keep in mind to blend the plaster in a vast compartment as indicated by the maker’s proposal. Apply the white bond over the repair fix utilizing a trowel. You can plaster up to one crawl at any given moment. When you complete the covering, sit tight for a day for the plaster to get dry. One ought to be exceptionally watchful while applying a thick coat over the top edge, as the plaster may list at this range. Once the plaster is gone away, you can apply the waterproof sealant. You can fill the water and additionally different embellishments, once the sealant gets went away. In the wake of filling the water, you may see some grayish tint on the plastered zone. In the wake of having chosen to make a plastering showing with regards to in your pool, you would require a plastering organization to take up and finish the occupation for you. You would search for a contractual worker who is not just sensible from a cost perspective additionally solid. You would prefer not to end with either a cost over-run or a poor occupation. You search for a dependable contractual worker since you need him to execute the pool plastering work at the concurred cost, inside the stipulated time, meeting every one of the prerequisites as far as the quality utilizing the materials and types of gear according to the agreement and with slightest burden to you. Finding a dependable pool plastering organization from among such a variety of around, a significant number of them publicizing in the media making tall cases turns into an undertaking in itself. Keep in mind that you will spend extensive cash and it would cost you increasingly in the event that you are to re-try the occupation on the off chance that the temporary worker fouls it up. Pool plastering is a specific employment even inside the plastering portion of business; you ought to look past the general plastering contractual workers. Advance the nonattendance of laws commanding any permit for the occupation in a few states makes the assignment of finding a solid contractual worker requires thought of different variables. You require some discerning premise to pick one and not the others. You have to discover the organizations situated in and around your place to abstain from causing certain extra things of cost, for example, transportation, boarding lodging and so on. If there should arise an occurrence of need, an individual visit by you to their office would be simple. An oft got to source is the web as regularly all temporary workers worth the name do have a site giving all the applicable data. It is likewise simpler for you to sit in one place and gather information and think about. The nearby daily papers have characterized notices area which can give some data. More than whatever else, you make a few inquiries in the swimming pools in your general vicinity. The chiefs of the nearby exercise centers and club-houses could be another source. Better Business Bureau, however not underwriting any administration or business, gives BBB Reliability Reports and relegates appraisals by assessing organizations in view of involvement, required competency permit, any activity against the organization, protests, respecting responsibilities and so forth. BBB has information on plastering organizations too. Conversing with your companions, partners and others around your place will help getting client appraisals, input and grumblings on temporary workers. You can check for the plastering contractual workers who are in your zone of thought. 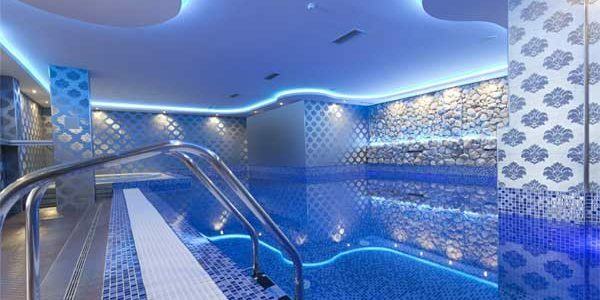 It is genuinely simple to get free, no commitment kind of appraisals for the pool plastering work by and large. Specifically for your zone, you may take a gander at organizations who offer to get you cites from a portion of the contractual workers who work in your general vicinity. Be mindful so as not to go over the edge on such request as you may get saddled with more than what you can deal with other than the subsequent questions which may bug you. The following stride is make out a short rundown of the pool plastering temporary workers from the many names you have gotten. Before making the short rundown make a visit to the temporary worker’s office, meet some of their customers, see a portion of the works they have done by making a site visit and consider their authorize particles. In the event that the neighborhood state laws call for having any permit, check the same for its legitimacy period. Subsequent to having acquired a thought of the cost, the following stride for you is to call for quotes from the shortlisted pool plastering temporary workers. Citations which are off track the stamp ought to raise doubt. See whether any prohibitions are there. You ought to inquire as to whether there are some other costs payable by you specifically, for example, any rentals, permit expense, protection cost, charges and so forth. 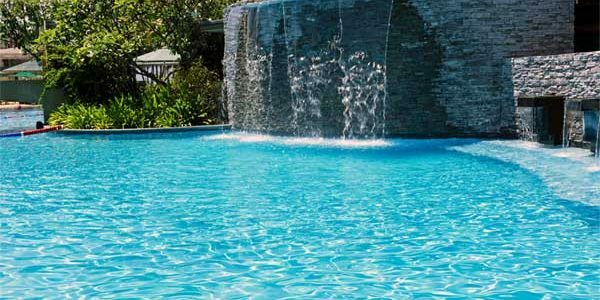 J & F Pool Plastering Inc.
We finish new swimming pools and spas as well as refinish and repair existing ones for homeowners throughout Sacramento, Yolo, Placer, Sutter, El Dorado, Solando, Yuba and Colusa Counties. About half of our business involves working directly with owners of existing pools to identify and deliver improvements best suited to their budgets and needs. This can range from patching cracks to a complete repairing to addiition of a spa. Our customers have included motels and hotels, apartment complexes, schools, recreation and park districts, and commercial real estate developers. Our commercial projects have included pools and spas built for recreation and competition. Projects have been indoors and outdoors, below and above ground. Generally, commercial pools encounter more wear-and-tear and chemical abuse than residential pools. Installation must be handled by an experienced installer to ensure years of trouble-free service.